If you despair of how many once elegant old British buildings are sadly ignored ruins today, you will applaud the determination and vision of the winners of this year’s Georgian Group architectural awards sponsored by Savills. The awards presented by the Rt Hon and Rt Rev Dr John Sematu, Lord Archbishop of York and the judging panel included Charles Cator, the chairman of Christie’s UK; Professor David Watkin, an expert in the history of architecture from Cambridge University; Lady Nutting OBE, chairman of the Georgian Group; Dr John Martin Robinson, vice-chair of the Georgian Group; and Crispin Holborow, director of Country Houses at Savills. 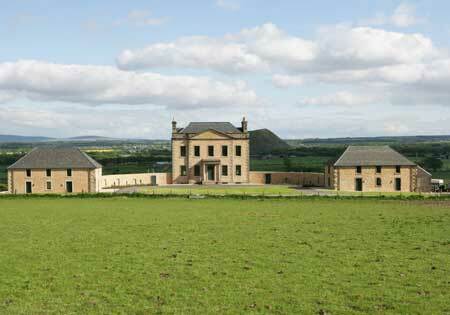 The best restoration of a Georgian country house has been awarded to Blackburn House in Lothian, an early 18th century building between Glasgow and Edinburgh that had fallen into serious and almost terminal disrepair. The Cockburn Conservation Trust working with architect Simpson and Brown has rebuilt the lost East Pavilion as well as renovated the entire property inside and out. Looking after Georgian buildings in towns and cities can prove difficult and public agencies are not best known for tending such precious spaces. But the Block Mills at Her Majesty’s Naval Base in Portsmouth has received a prize for best restoration of a Georgian building in an urban setting. 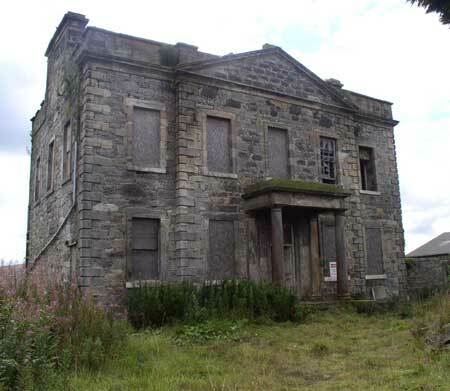 The Block Mills, part of an operational Royal Naval Base, had been mauled over the years with an unsuitable pitched roof added at some point, windows blocked in and spreading dry rot destroying the building’s fabric. Luckily, the Royal Navy and English Heritage have repaired the infrastructure and restored the original hipped roof to this important first mill to house steam-powered mass production machinery. The judges particularly appreciated the ‘lightness of touch’ from architect White Young Green: much of the conservation work is unspectacular, but no less solid for it. Garrison Chapel, Pembroke Dock by Pembrokeshire County Council and architects Acanthus Holden for reuse of a Georgian building. 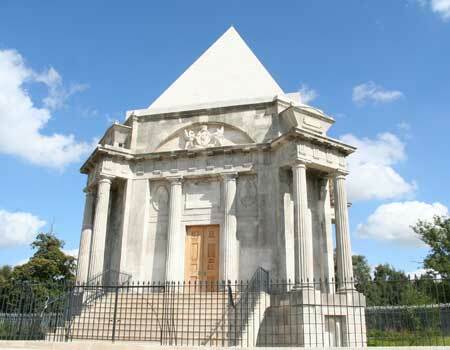 Cobham Park Gardens and the Darnley Mausoleum, Kent for restoration of a Georgian garden or landscape (Gravesham Borough Council and architect Purcell Miller Tritton and Enplan). New building in the classical tradition to New Pavilion, Ferne Park Dorset, home of Viscount and Viscountess Rothermere (Quinlan and Francis Terry Architects). The Giles Worsley award for a new building in a Georgian context for Queen Square, Bristol by Westmark Developments and architects Donald Insall Associates and Alec French Architects. ‘The British love affair with Georgian style is a long-established tradition. It is an architectural era that has always appealed to people and it doesn’t often falter,’ says Mr Holborow from Savills.